Tom Moore & Son Launceston is locally owned and operated by Paul, Debbie and Nathan O’Donoghue and has been servicing Northern Tasmanians for over 40 years. All of our Roller Doors are manufactured from high quality material & expertly designed to provide excellent strength & security. They are manufactured to fit openings up to 5100high x 5400wide with reliable manufacturing & a unique continuous curtain profile each Steel-Line door provides unbeatable strength, superb security & excellent value for money. 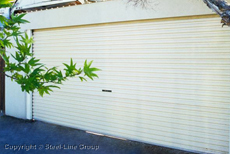 They feature a heavy-duty Bottom Rail fitted with durable PVC Weatherseal. 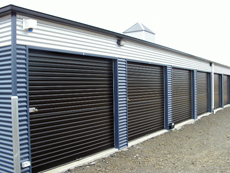 Suitable for Commercial Buildings, Garages, Sheds where there is plenty of headroom above the opening. 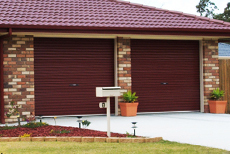 Tom Moore & Son offer the largest range of Garage Doors and Automatic Openers in Launceston and Devonport. We provide expert knowledge, good design and quality workmanship with professional, efficient, and friendly customer service. 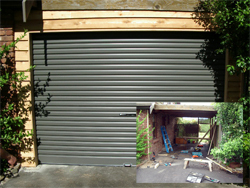 Contact us for ALL your domestic and commercial garage door requirements. YES, WE CARE!